Our Sunflower Milky Way Soap Mold features the distinctive head and leaves of a sunflower for a soap that really says summer. 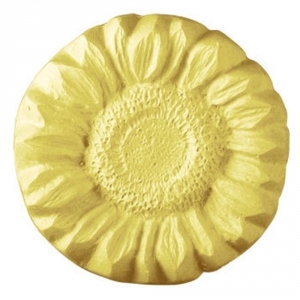 This mold is great for sunflower soaps or just bringing a little bit of sun indoors. Soap Bar Dimensions: 3.25" x 1.25"
Notify me when Sunflower Soap Mold is in stock.